Make the most of your three days in St. Petersburg on this comprehensive guided tour. Travel through the city in an air-conditioned minivan in the company of a guide. 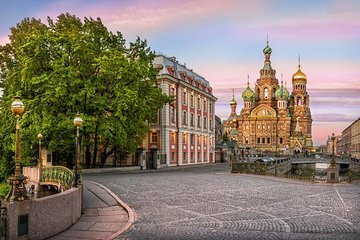 Visit Catherine Palace, Peterhof, St. Isaac Cathedral and the Church on Spilled Blood and learn about the history of the city. Stroll through Fountain Park and admire the art at the Hermitage Museum.